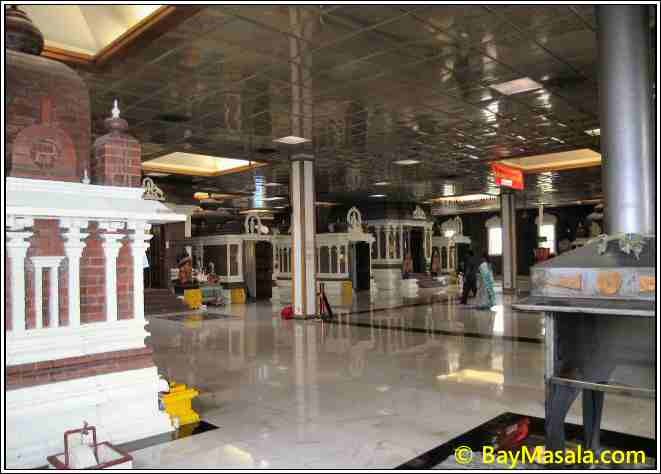 Deities at the Livermore Hindu Temple include Lord Venkateswara, Shiva, Parvati, Kanaka Durga, Hanuman, Subramanya, Ganesh, Radha Krishna, Sridevi, Bhoodevi, Ram Parivar, and Navagrahas. Besides the daily archanas to the deities, the temple also provides priestly services for private poojas, rituals, weddings, and individual samskaras. Facilities at the temple include a community center, temple kitchen and health center and library. The temple also organizes balajyoti classes.